EuroBrake was created in 2012 to address the profound changes in the demands made by the braking industry’s customers and end-users, and to provide a forum for companies and engineers working in the area of brake technology to come together to share ideas. 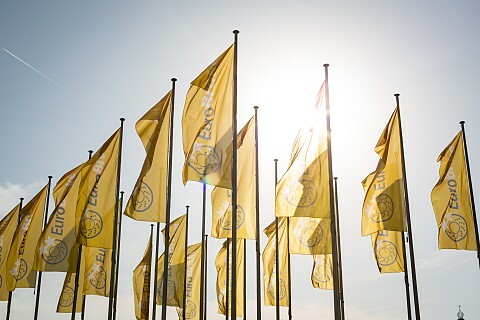 EuroBrake 2016 heralds the fifth anniversary of this prestigious and influential conference, which continues to strive for excellence in both quality and popularity. EuroBrake has grown annually in exhibitor and delegate attendee numbers, with over 900 delegates attending EuroBrake 2015 in Dresden, Germany. Featuring more than 100 technical presentations and 90+ exhibitors, EuroBrake is the world’s largest dedicated braking conference and attracts engineers, scientists and executives from the industries of passenger car, commercial vehicle, rail, aerospace and the wider industrial fields. In 2016, EuroBrake will be held in Milan, Italy, a thriving hub of design and industry. Presenting at this international and highly regarded conference is your opportunity to reach an influential audience of braking specialists, to share knowledge and to connect with decision-makers from leading companies around the world. On behalf of FISITA and the EuroBrake Steering Committee, we invite you to submit your abstract for EuroBrake 2016, and we look forward to welcoming you to Milan next year.